Door & oak wood runner kit included! Aluminium Door Size: 12 inch x 16 inch. Superior strength and quality oak runners, measuring 24″ tall. 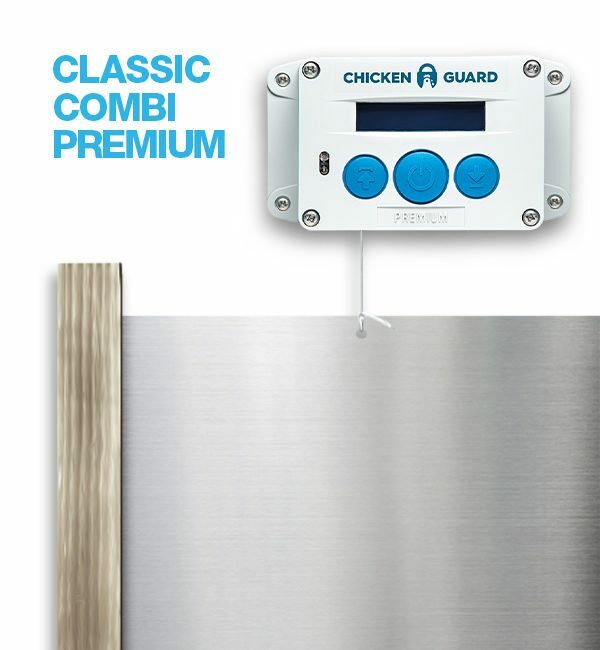 Simply mount on the outside or inside of your coop, tie the cord on the door, and use the Setup Wizard to easily program your opener. 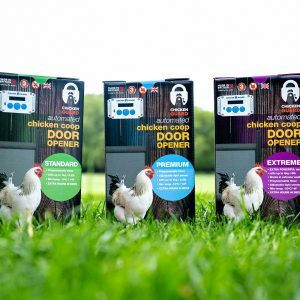 Door & Runner Kit Included! Aluminium Door Size: 12 inch x 16 inch, Laser cut for smooth opening. Door has pre-drilled hole for attaching the ChickenGuard string. Superior Strength and Quality Oak Runners, measuring 24″ tall. Without treatment the runners will last between 8 & 10 years. Oak was selected due to its weather and rot resistance and beautiful natural grains. 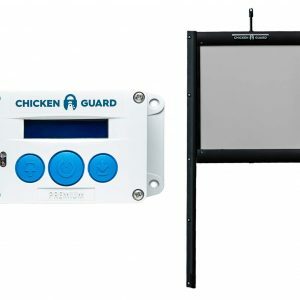 Imported from the United Kingdom, ChickenGuard offers a solid coop door that runs off 4 AA batteries (optional USB port for external power). 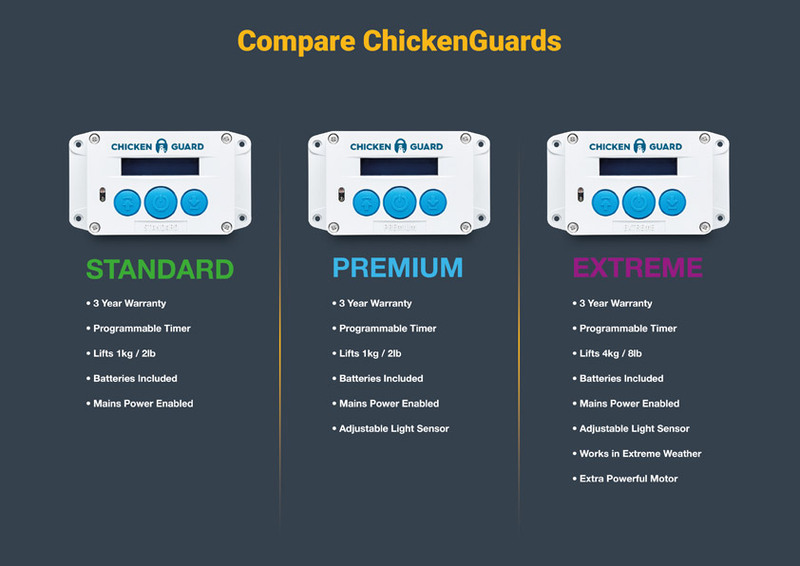 There are three models to choose from: Standard, Premium and Extreme.